LIS Professional Development blog enables Library & Information professionals explore various learning & development opportunities. Mason OER Metafinder searches 16 leading OER repositories with a single query. Users can perform broad queries across all sources or they can search for terms in full record, title, or author(s). They can also specify a date range and narrow their searches to a specific date range. Global MIL Week also enables connections and sharing of creative projects, the latest research, new ideas, and information across countries and stakeholders involved in MIL, and in print, screen-based and digital media. The feature conference of Global MIL Week 2017 is the Seventh Media and Information Literacy and Intercultural Dialogue (MILID) Conference. It will be held in Jamaica under the same theme as the Global MIL Week 2017 from 24-27 October 2017, at the Jamaica Conference Centre in Kingston. Open represents freedom, transparency, equity and participation. At its core, open is a mindset about the way we should meet collective needs and address challenges. Add your events to the Year of Open Events calendar to share with others. Post an Impact Story to the Year of Open Facebook page. An Impact Story can be a video, a written document, an infographic or other piece that describes your footprint in Open. The fifth annual global celebration of Media and Information Literacy (MIL) Week will take place from 31 October to 5 November, 2016. 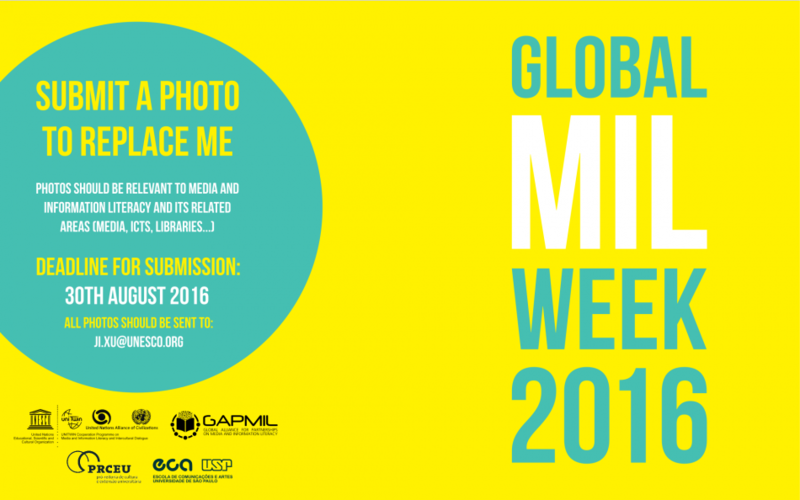 The Global MIL Week 2016 highlights include the Sixth Media and Information Literacy and Intercultural Dialogue (MILID) Conferenceand the First General Assembly of the Global Alliance for Partnerships on Media and Information Literacy (GAPMIL), taking place November 2-5, 2016 in São Paulo, Brazil. The Global MIL Week activities and conference are important opportunities for stakeholders globally, including members of GAPMIL and the International University MILID Network to meet and share the latest research, projects, new ideas and information with a diverse gathering of stakeholders involved in information and media literacy, and in print, screen-based and digital media. Ten ways to celebrate the Global MIL Week. College & Research Libraries (C&RL) is the official scholarly research journal of the Association of College & Research Libraries (ACRL), a division of the American Library Association. The January 2016 issue of College & Research Libraries is now freely available online. Visit the C&RL website for complete contents from 1939 to the present. Open Education Week is a celebration of the global Open Education Movement. Its purpose is to raise awareness about the movement and its impact on teaching and learning worldwide. Libraries can and should support open education. But before libraries do so, it is useful to understand the open education movement as a whole, including some of the key challenges facing both OERs and MOOCs and how libraries are well positioned to help address these challenges. 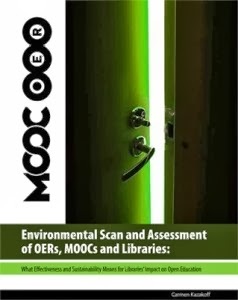 ACRL White Paper "Environmental Scan of OERs, MOOCs, and Libraries: What Effectiveness and Sustainability Means for Libraries’ Impact on Open Education" enables us understand the open education movement and our professional obligation to promote universal, affordable, quality education. Click here to download Open Education banners and PowerPoint templates and promote the event at your institution and site. Library 2.013 virtual conference recordings on the following strands are available here. LIS Professional Development Blog by Indira Koneru is licensed under a Creative Commons Attribution 4.0 International License. How to Embed A Librarian, Library Resources & Service Components in Moodle!